Living in harmony with our environment, we experience joy, happiness, success and peace. It doesn’t mean removing the clutter or placing things in their proper way or “right” way. It is how you align your inner worlds and desires with your outer environment. The bathroom is a sanctuary we enter upon waking and the last we enter prior to bed. Does your bathroom rejuvenate you in the morning and help you relax and unwind in the morning, or does it create, increase stress, and promote tension in your life? If your bathroom is well designed, it is an elegant bathroom, with the reasonable, it will alleviate the stress, makes your heart with relief, relaxation, and you will find yourself really refreshing. 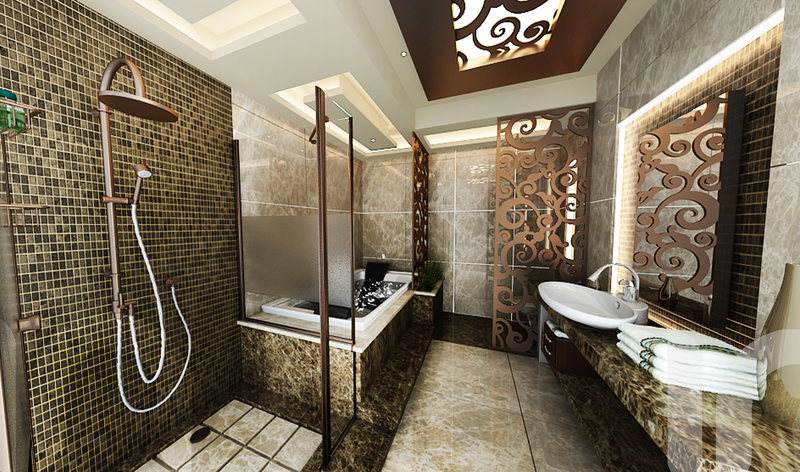 Avoid to place the bathroom in the center of your home; it is not good for health. You should place the bathroom towards the north-west, southeast or east (looking from the center of the house). The shower and toilet should be clearly divided. If it can’t be divided use partitions or blinds to separate them. Try to think of your bathroom having wet and dry zones. Wet zones are where the floor is likely to get wet (beside the bath and just outside the shower) and dry zones – well everywhere else. The most appropriate dimensions for a bathroom is 2.2 x 2.5 sq.m. It will fit in it a toilet (70 cm), bathtub(60-90×1.60-1.90) and a large sink(1.0) . Take a look around your bathroom- especially the state of the plumbing- see how can you raise the energy level. Because the toilet bowl can be a drain of energy, the ideal position for it is to hidden from view if the bathroom door is left open. Take in consideration a half -wall between the door and toilet and if the space is big enough, consider a full wall. Faucets should not leak and should be clean and working in a proper way. Dripping water is, symbolically, washing money down the drain. The mirror is an important piece in your bathroom. As you get ready in the morning, to increase your self-esteem, the image you see in the mirror should be the best it can be. You should be able to see your entire face and hung it at the proper height. Should not cut off the top of your head or your chin, which will “slice your energy” and contribute to low self-esteem and feelings of “incompleteness”. 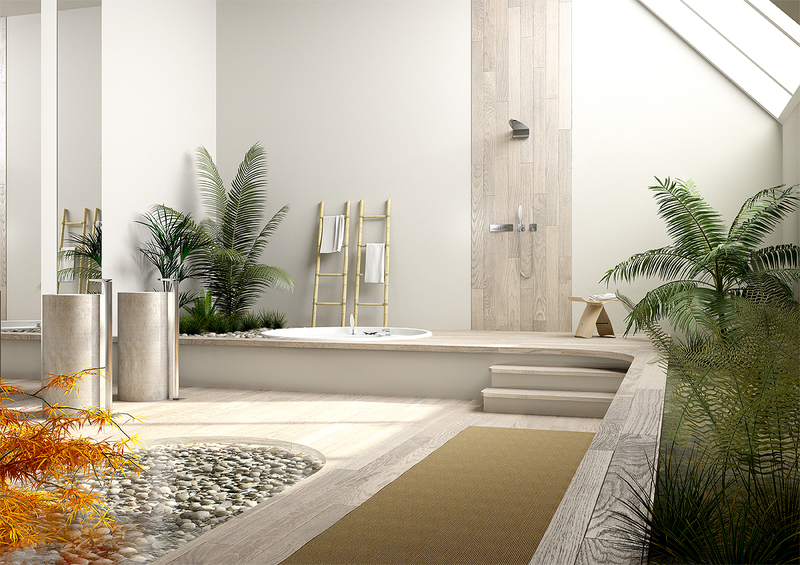 As the bathroom has already a high amount of water energy, the colors that represents “wood “such as light blue and greens, feed off the water element and create a sense of balance. For balance and rejuvenation, consider including silver sage and lavender. Avoid dark colors such as red, purple, emerald, navy, brown and black which makes the room feel smaller. Instead of candles, bring live plants into the bathroom to balance the water element. Use small pots of fresh herbs like lavender, rosemary and sage to create relaxing scents in the bathroom. If you have a bathroom close to your front entrance, you may find you money getting “flushed down the drain” too often. Keep your bathroom door closed and hang a mirror on the outside of the door. You have a great content! Love your work. Keep it up.